After you register, you will receive the webinar link via email 24-hours prior to the event. Increase your teaching efficiency for the Fall term! When you teach your classes you may often find yourself logging in from more than one device and wanting access to files that are not always available to you. Flash drives used to be a solution to this challenge. Today, Dropbox offers a free (and premium), cloud-based solution for managing your content from any device with an internet connection. You can also share anything in your Dropbox folder with anyone quickly and easily with a simple link or set up folders and share their contents with groups of users to foster collaboration at a distance. Provide an overview of how to use Dropbox to access and share content from any device with an internet connection. Encourage existing Dropbox users to share additional experiences, tips, and strategies. 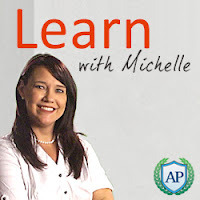 Get more info about the "Learn with Michelle" series. Sign up for the Faculty eCommons Newsletter to receive updates about future events. View archives of past events.